MONDAY, Jan. 23, 2017 (HealthDay News) -- Looking to make good on the GOP's longstanding vow to get rid of Obamacare, two Senate Republicans on Monday proposed a bill that would allow states to continue operating under the law if they choose to do so. The proposal, by Bill Cassidy of Louisiana, a medical doctor, and Susan Collins of Maine, a moderate Republican, would allow states to stick with the Affordable Care Act (ACA) or opt for a similar amount of federal money that consumers could use for their medical care and health insurance, The New York Times reported. "We are moving the locus of repeal to state government," Cassidy said. "States should have the right to choose." The bill would also encourage greater use of health savings accounts and eliminate the requirement for most Americans to have health insurance or pay a fine in the form of a tax penalty -- the so-called individual mandate, the Times reported. But the provision to allow the Affordable Care Act to live on in many states will not sit well with many conservative Republicans who have had their sights trained on the controversial health reform legislation since President Barack Obama signed it into law in 2010. And that potential conflict underscores how difficult it could be for the Republican-controlled Congress to come up with its oft-stated goal of crafting a replacement for the ACA, also known as Obamacare. In a statement, Collins said: "Some of my colleagues have argued for immediate repeal [of the Affordable Care Act] without any replacement, an option that I reject for it risks leaving millions of vulnerable Americans without affordable health insurance and would undo important consumer protections provided by current law. "Others have proposed repeal with the delayed effective date of two or three years to allow time for the Senate to devise legislation that would provide a better approach to health insurance," she added. "My concern with the repeal and delay plan is that the Obamacare exchanges, already on very shaky financial grounds, would go into a death spiral as consumers would face uncertainty and insurers would have no basis for pricing their policies," she said. The exchanges are online marketplaces where consumers can shop for health insurance. But, the Affordable Care Act has suffered setbacks due to rising premiums and fewer insurers participating in certain states. Much of the trouble has been traced to too few younger Americans signing up for health coverage -- as required by the ACA. They're participation is vital to offset the expense of offering health coverage to older and sicker Americans. The stipulation that requires all Americans to have health insurance, or pay a fine in the form of a tax, is highly unpopular with Republicans -- and many other Americans -- who view it as unwarranted federal intrusion into people's lives. Last year, an estimated 6.5 million people paid fines, which are generally deducted from a taxpayer's anticipated refund, according to the Associated Press. "I'm pleased to see a growing consensus among members of both the Senate and the House that we must repair the ACA and provide reforms at nearly the same time that we repeal the law in order to protect families who rely on the program and to give insurers time to transition to a new marketplace that is based on more choices for consumers," Collins said. It's not clear whether the senators' proposal, which is based on a measure Collins and Cassidy introduced in 2015, would get the support of the GOP leadership. Regardless, President Donald Trump wasted no time putting pressure on Congress to move ahead with the repeal effort. Shortly after he assumed the presidency on Friday, he issued an executive order that allows federal agencies the freedom to delay or ignore parts of Obamacare that are said to burden individuals, insurers, health care providers and others. The centerpiece domestic legislation of Obama's presidency, the Affordable Care Act has brought insurance coverage to roughly 20 million people who had not had it before. 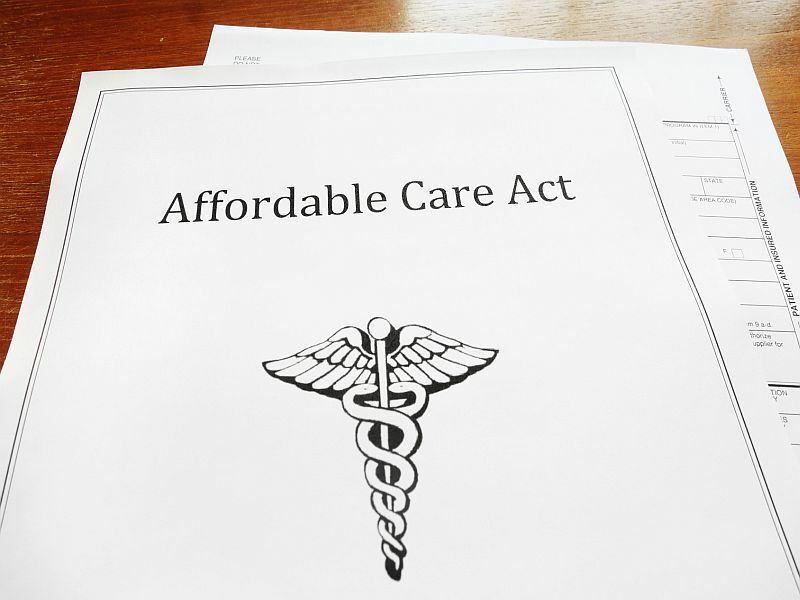 And though controversial, the Affordable Care Act has several provisions that are popular with a majority of Americans. Those provisions include requiring insurance companies to offer coverage to people with pre-existing medical conditions, and allowing children to remain on a parent's plan until age 26.